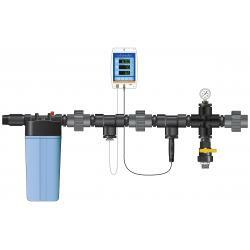 Growing Organic has never been easier. Developed specifically for farmers by farmers in the hills of Northern California, Growilla Veg & Bud contain a closely guarded recipe of highly concentrated organic ingredients to meet the needs of your most valuable crops. 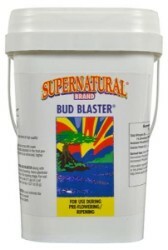 Growilla Bud is a natural and organic plant food for use during the bloom phase of fruiting and flowering plants. This potent blend of high quality ingredients contains the essential elements needed from transition to harvest. Multiple sources of guano, earthworm castings, fish meal, and other natural inputs provide a wide range of food sources for plants and beneficial microbes. Growilla Bud was designed to be simple and effective, safely delivering what plants need for enhanced flower development, improved soil structure, and increased nutrient uptake. 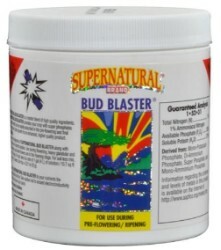 Use Growilla Bud as a standalone plant food in your garden or with your favorite bloom supplements. 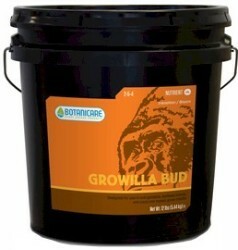 Growilla Bud's natural formula excels in containers, raised beds, and can be tilled into native soil. 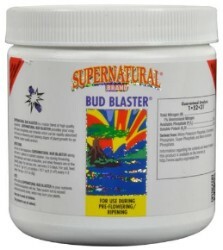 Transition phase: Begin using Growilla Bud 10-14 days into the flowering phase. Use Growilla Veg for the first 2 weeks of the transition phase. Bloom Phase: Top dress each plant site with 1/2 cup of Growilla Bud per 5 gallons of grow media in an even layer every 10-14 days. Ripening Phase: DO NOT APPLY the last 10-14 days before harvest. Top Dressing Field Application: Apply 1 cup per 10 sq ft of growing canopy and water in thoroughly every 10-14 days.